I hope everyone had a fabulous Christmas (or Chrismahanukwanzakah, as I like to think of it - I'm a firm advocate of celebrating everything, as more holidays = more friends, food, and fun drinks!). Mario and I had a lovely celebration with friends on Christmas Eve and then spent Christmas morning together. As always, we used the day as an opportunity to spoil one another - I've never been more excited to get mixing! 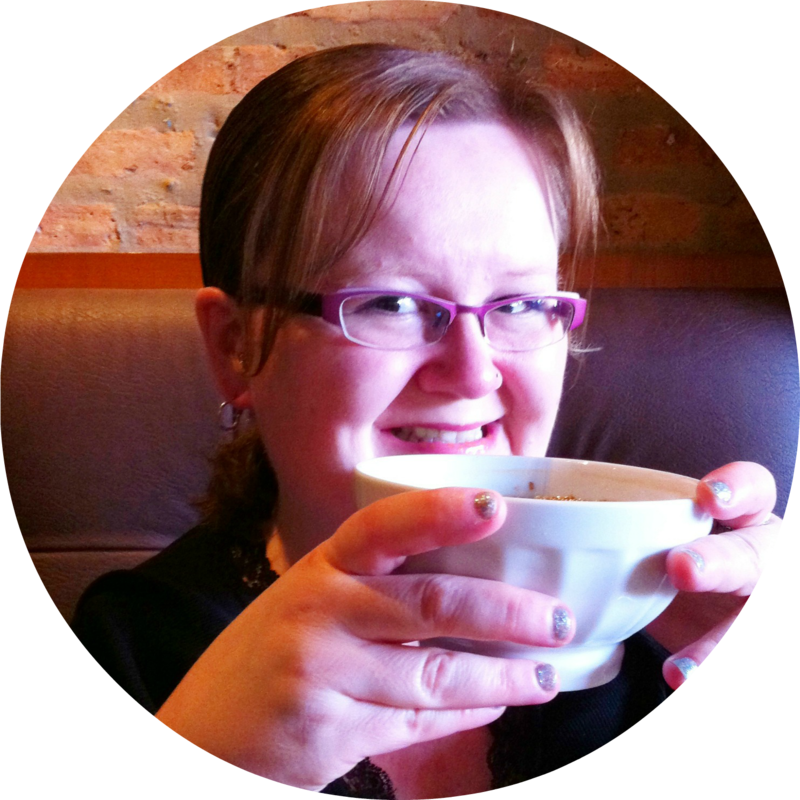 ;-) Of course, as much as I like to receive gifts, I like to give them even more so I couldn't let the holidays pass without some fab giveaways to my awesome readers (aka you!). Nudo began back in 2005 when a pair of successful television producers decided to leave their careers, move to the Italian countryside and restore an abandoned olive grove. Not only did the pair take on the restoration and management of the 21-acre grove, but also they started a wonderful Adopt-an-Olive-Tree program that offers olive oil lovers the chance to adopt their own tree and receive the oil from that tree on a quarterly basis (you can even visit your tree in Italy!). Local family farmers are responsible for the care of their own trees, so not only do you reap the delicious rewards of your investment, but also, your purchase goes toward supporting smaller artisan olive farmers committed to keeping traditional farming methods alive. Along with the adoption program, Nudo also offers a range of beautifully packaged infused olive oils, as well as a selection of artisanal Italian products. Luckily for me, the fine folks at Nudo offered up the opportunity to sample three of their most popular oils: garlic, basil, and lemon. As Diana and I are both huge fans of infused olive oil (seriously, I'm guessing there are at least 20 bottles between the two of us! ), I immediately turned to her to set up a night of tastings. We set up a lovely spread of breads, olives, and other goodies, but shortly after we started tasting the oils, we soon abandoned anything that couldn't be dipped! The first thing we both noticed about each of the oils was the aroma; immediately after opening each container, we could smell the sweet fruitiness of each of the varieties. We were both blown away by the intense flavors - each variety was buttery and tasted like it had been freshly pressed/infused. 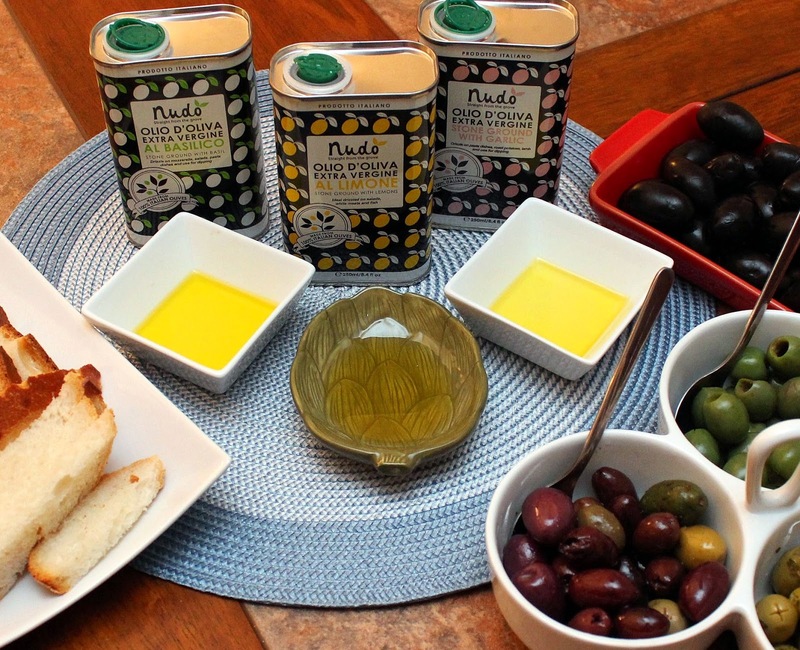 I have to admit that I am normally picky about olive oils used for dipping, as I am loyal to a to a lovely Turkish brand I found while traveling; the Nudo oils were just as delicious as my favorite (and in the case of the garlic variety, actually surpassed my favorite!). Nudo has graciously offered the chance for one of my readers to win a sample pack of these wonderful oils (basil, lemon, and garlic). Want to try out these versatile and flavorful olive oils for yourself? Simply enter via the Rafflecopter contest below by Friday, December 31 for your chance to win. I really want to try the lemon over vegetables. Also, I love the packaging too--so cute! I really want to try the basil. It sounds so tasty. Oooh, I want to try the garlic one! Anything garlic is awesome! They all sound fantastic but the one with lemon has me intrigued. I'm an olive-oil fanatic and would love to sample these Nudo oils! The garlic oil sounds delicious!!! The lemon sounds perfect for salads! Would love to try the garlic too! I'm most excited about the garlic. Like you, I am a garlic lover!! I am a big fan of garlic, so I'm most excited to try that one. I need that lemon oil in my life!